I so love this story. I’ve been tweaking it since I wrote it some days ago and now I think it’s just right. Tell me what you think of it and stay ever blessed. Benneth’s heart was thumping. He needed to get to Julia as fast as possible. He had meant to spend the day by her side, holding her hand, helping her to make sense of whatever the day served and to take a decision on it. But being a supervisor in a growing wholesale business whose manager was the owner meant working long hours and not slacking at all. He hadn’t dared to ask for the day off because he knew the request would be denied, as it had been on previous occasions. He definitely needed to set up his own company. He was hoping to revive his late father’s food produce business once he’d saved enough. Finally, at 7:20 p.m., he pulled up by Julia’s parents’ bungalow at Nekede on the outskirts of Owerri. The house was dark, so at first he thought no one was home. His heart seemed to drop to the pit of his stomach. Why hadn’t he called her before driving off from his office, he asked himself. And could this mean she wasn’t home? Would that imply she hadn’t returned from her appointment earlier in the day, the appointment he had so longed to accompany her on? He stepped out of his second-hand Jetta car, fumbled in his coat pocket for his phone and dialled her number. No response! God please, let her be alright. He called again and she picked up. “That can be arranged; I mean, getting to my place, no teleporting required.” He cut a diagonal path across the lawn to the front door from his parking position as he spoke. She squealed with delight. That’s a good sign, he thought. Next, she switched on the light and opened the door, looking fetching in a white T-shirt and a flowered wrap-around cotton skirt. “Where’s everyone?” he asked as she ushered him into the living room. Benneth was surprised. He had thought from her tone when he called that she had been given a clean bill of health. “Cancer, of course,” she responded like it was common cold. This was what he had feared and why he had wanted to go with her to the hospital. But even though she was to undergo more tests before a clear diagnosis was made, Benneth thought Julia would be more worried. She wasn’t weak or in pain, still the lump on her left breast that necessitated the hospital visit should have been enough cause for agitation. But she was so relaxed it just didn’t seem right. “What can I offer you?” she cut into his thoughts. As she went to get some paper and a pen, Benneth saw Julia on a hospital bed. She seemed to have been undergoing chemotherapy. Her head was shaved, she looked pale but she cracked a joke. He couldn’t make out the words but saw himself doubling over with laughter. Sitting nearby was a liitle girl that looked like Julia: fair complexioned, with lean features. The girl seemed about five years old and she was engrossed in a story book. He saw her health status as a prayer point he needed to address. Due to his job circumstances, he had been unable to pray along with her the previous week. Instead, he was worrying and hoping she would be told right away that the lump was nothing. A referral to a teaching hospital was not something to be ignored or consigned to wishful thinking, he told himself. At that point, he knew what he must do. “Not at all.” She seemed unconvinced, so he added, “You are a child of God, my darling, redeemed by the blood of the Lamb. You are not an object of pity. We will approach the health issue with faith, the operative word being ‘we’. We will remind God of His word on this and leave the rest to Him. We, together, two of us.” He emphasised the last sentence. Benneth cut her questions short with a kiss. He then explained: “We knew this would happen someday. I just think now is as good a time as any. I know I’m yet to get the ring and all that but just say yes already.” As she hesitated, he teased, “Come on, I know you’ve been dying to be called Mrs Igwe,” lifting her 5 ft. 6 in. lithe body off the ground. “Sure of ourselves, aren’t we?” she responded looking down at his upturned, handsome face. He then set her down. They hugged, kissed again and settled down on the sofa to wait for her family and share the good news. Hello! Would you react in the way Benneth did in this story or would you be more calculating if you faced a similar situation? Thanks a lot, Jane. I'm glad you enjoyed the story, glory to God! You are so right about people receiving strength from the love of precious people in their lives when they face challenges. May we be like Benneth to those who need us and may we have some Benneths to stand with us in times of trial in Jesus' name. That's inspiring not only to the new family but also to everyone who loves loving. Thanks to one I look up to in literary writing. God bless u, ma. Thanks you too and God bless you richly, Hyginus, in Jesus' name. Quite interesting; educating as well. True love stands firm in all situations, as depicted by the fellow in this piece. Right! Thanks for dropping by, Chikwado. Have a lovely weekend! Yes, Emmanuel! Some relationships collapse when one of the partners suffers ill health or some other misfortune. Enjoy a beautiful weekend and God's endless favour in Jesus' name. Hi Angela! Love is indeed beautiful. This is actually the end of the story. I'm happy you found it engaging. A fabulous September to you and your family in Jesus' name. Benneth is really a child of God with a strong faith. First of all, because of the faith he has in God, he was able to put the situation under control and secondly, the love he has for Julia has a strong foundation both spiritually and physically. Am really inspired by this, at least i now know how to spot "true love". Thank you very much for this ma. More grace! Amen and thank you too, Victoria! You are blessed! true love is worth more than silver ... Julia is lucky to hv Ben. nice story ma. So glad you enjoyed the story, Isabel. You are lifted in Jesus' name. An interesting story. Really true love always stands firm no matter the conditions. True can be found but it's very difficult to do so. Yes, my dear! It is very rare. I need a man like Ben! I absolutely need all that love! Aunty Edith is an amazing writer, this story messed with my imaginations oh.. Lol! He actually proposed to a woman he knew that she was a few inches close to her grave.whoa! That's some bravery! Not everyone's gon do that though! Well,he apparently loves her so there's no need for calculation again.imagine if he left her for someone else,he still wouldn't be comfortable there.Love is just like that all the time. The imagery in this story is strong!!!!!! Nice one Ma! You know there are many guys like that out there. I think you find some of them among the saved. Those who know how deeply they have been loved by God and are walking in fellowship with Him are able to love others in selfless and mind-blowing ways. It is good to have faith in God. u are amazing ma. when I read stories like this, I am encouraged that somewhere out there, there is someone who loves me even more. am so happy for them and with God by their side, they would live long. Glory to God! We must always hope for a better tomorrow. With God, all things are possible. I pray that your own will be far better than this, my dear, in Jesus' name. Yes, it is! May we be surrounded by that kind of love all our days in Jesus' name. Awww, so touching! This is what i call love. Benneth is a lovely guy whom i will love to have as a hubby. I can't wait to get this kind of love. And i trust that with this kind of faith, Julia will be healed. Glad you loved the story. May God grant your heart's desire in Jesus' name. nice piece ma, i salute the rare courage exhibited by Benneth, true love conquers all. Wow!!! this story caught my fantasies. Love is a feeling that can throw one off balance. Getting married to her was the only way of being around, since his company refused granting his request to go on leave. I feel Ben did all the calculations he needed when Julia went into the room to get a writing material. He believes that things wouldn't get so bad and God can always do a new thing. Love is when you take away those reasons why u should not, and find out u still care for the person. Never say no if u still want to try, because love comes to those who still hope, believe and have the courage to stand by that person who makes u simile no matter the situation. Wow!! Dat kind of love z rare these days... I love how Benneth handled the situation, some men will run away in dis kind of situation... Dat z wat is called love... Am inspired... Keep it up ma. wow! a story so touching and full of love so true and faithful in the midst of a life-threatening challenge. i really admire Ben for his unfaltering and courageous love for Julia. unlike most people who would have been calculating in such a situation, he chose to be source of strenght,joy and happiness to Julia instead of abandoning her, thus giving her the courage to move on in the face of her unspoken fears about her health challenge. Woow!! What a lovely sweet story.Ben did the right thing by not leaving her at that point, I pray God will heal her so they can spend more day's together as couple. True love and understanding all the way. Its touching! Its unbelievable!! Its wonderful,bawesome and lovely!!! A man who can lead you to God is all you need as a woman. That was FAITH personified and LOVE practicalised. God make all men like Benneth, please Lord, you've got to do this!!! That guy is really great. Wow! Wow!! Wow!!! That was a fabulous thing dear Bennett... But let me ask, how many of our men will do not without considering the situation at hand? How many men will volunteer to fight a health battle with a lady all in the name of love? I believe there are still good guys out there Hut the issue is how many can make sacrifices for there girlfriends and lovers Well, I still congratulate Bennett on that wonderful bold step....... I am already crying and imagining the scenario It's really touching ??? Nice write up. Am impressed with the agape love showed to Julia by Ben. He is truly a child of God. Whoa! That was so inspiring. Ben is indeed a child of God, there is no denying that. Julia is so lucky to have come by such a man whom I believe is the dream of every girl! I love your imaginations ma, keep it up! More of God's grace on you. I am encouraged by the faith of Julia. Sometimes, you just have to believe in God and trust him because there is not a problem one passes through in life that is permanent. he is one of a kind, its rare to find someone with his qualities. Ben is a good man. I believe that God will see them through. This is really a love to count on. its unique. Ben proved himself to be strong,courageous and honest...The love between the both is pure and true and i believe God is with them till the end of it. I love this story, it's so romantic and heartbreaking because of Julia's illness but love is not just about words rather actions,,showing and caring,the ability to love that person no matter what happens,benneth and Julia are just the perfect couple made for each other,one thing I admire about Ben is the relationship that exist between him and God even though he had a busy schedule at work ,he still trust in God and pray in his heart. There is nothing as sweet as having a man that fears God as a spouse. Ma I sincerely wish to be like you in your imaginative way of writing. Wow, this is unbelievable. i mean this kind of love just makes you happy. with Bennett's love and behavior, I'm sure they'll get through this challenge. nice story, ma. This is an interesting yet touching story, I enjoyed reading it! God bless Bennett for taking that decision, it shows he genuinely loves Julia but ma'am if I were the one, I would give it more time and be more calculating rather than reacting the way Bennett did. An average Naija man would forget this babe and get himself a healthy woman to marry. This is brave, it's true love. 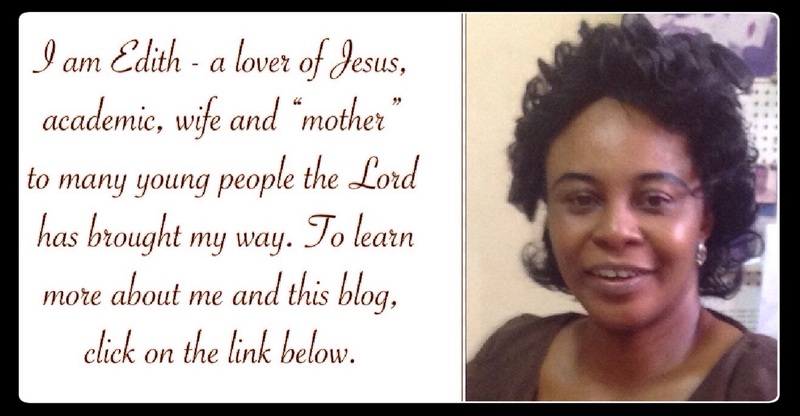 interesting and educative ma. love in time of problem or challenges is love indeed. Benneth stood by her side when she was facing health challenge. He really did well for not all men can do that, knowing that she has health issue will make many to stay far away from her, which is bad. What a love to count on.Ben is really a true lover.Most people will run away after knowing that their lover is suffering from such sickness which is likely to take her life very soon.Julia is a strong woman too that is ready to fight as long as she has God by her side .This really requires faith and courage . Awwwwwwww...this is what I call genuine love, that in-sickness-and-in-health kinda love. But sadly enough, guys like Benneth, just like securing an abroad Visa in Nigeria, are hard to find. Nice one ma! I couldn't help shedding tears as i read this story, its so touching and at the same time inspiring. I tap from her optimistic mind that everything will be fine. Theirs is true love. Even at that moment of weakness , Julia decided not to let her problems become bigger than her becuse she believed in God as the author and finisher of her faith. i also praise benneth for his courage to stick with her even during her time of problem and been her consolation in the faith and love of christ. such love. Such support and care even when going through a life-threatening sickness. It can only be God. Ahan! they didnt go to his house again?. lol Aww very nice story about lovers sticking through thick and thin. I love, I love! This is an interesting piece. Benneth is a man who really knows what he wants and when to do things.True love they say, conquers all. Beautiful story! There are a few good men like Bennett Julia needed him at that time of her life and he was right there .its a beautiful story. Bennett exhibited what true love is all about not giving thought to the health turbulence that is an obstacle to his happiness. When we show love undaunted to our loved ones in their challenging time we give them fortitude, hope, will power and strength to live. Oh my God! this is love unconditional in action. it is the work of only the Holy spirit. For Julia to be so calm about cancer?wow..very lovely, inspiring story ma. wow, this story is really touching and inspiring. it just serves as a reminder what faith in God and true love would do to a relationship. really commend Bennett for believing in God and in the love he has for Julia. we need more of these type of men in the world today. love is very powerful ma. It can make u do things u think u can never be able to do. This story is very touching and straight to the point. The thought and the image of what he saw promted him to propose to her, he doesn't know how else to express himself and he didn't want her to be left alone. Since love existed between them before now i don't think there is anything wrong with the marriage thoughts They will definitely be fine...if not for their love for each other but for their faith in God. The power of love can never be underestimated, it will push you out of your comfort zone to think or do that which you see impossible at the initial stage...nice writeup, ma. it's straight to the point and understandable. Absolutely love the story line!! I just wonder if Men like Ben still walk the streets today. A love so pure. Thank God for the revelation he got and the strength of his fiance, Julia. Even the devils weapon (cancer) couldn't separate the duo. They couldn't be more perfect for each other. Wow, men like Ben are hard to find these days. Love is our strongest weapon in this world, un disputable. It can make you do the unthinkable. I love this story, very motivating and inspiring!!! I would definitely react in the same way but along the line, we realize that God has a way of bringing peace and happiness to our lives irrespective of what is happening to us, health wise. Benneth is such an amazing guy; this is faith. The story is beautiful and entertaining; is just appealing. If i were in the relationship with my partner and along the way, such issue came up and it came out to be cancer; I would love,pray, stand by her and react the same way as Ben in his rare love . Am sure most ladies will dream for a good man as him and most readers full of love imagination. This story is well organised and thrilling . No bad taste but capturing with the use of simple language. This is a very inspiring piece, here is someone who might be having a terminal illness and she is not bother but has left everything to God, yet some of us would have little problems and feel like the world is resting on our shoulder. I would like everyone facing one challenge or another to join the faith of Julia and believe that God will always make a way when there seems to be none. Men like Ben are very hard to find Julia should be grateful to have such a man that wants her despite the medical report and still believes in God's intervention. This love is so strong, Aunty Edith no continuation ? First, I think the kind of Love existing between the Two is Rare. Benneth's Love seems genuine and Spiritually Motivated. This reminds me of how Joseph, Virgin Mary's Husband, wanted to throw his wife away, but an angel was sent to him. Benneth's vision is a confirmation that His Love for Julia could be a direct arrangement by God. Proposing to her in midst of cancer case sends a message. Lovely Story, Ma. This is the type of thing one will see when love is founded on Genuine feeling, and mutual understanding among partners. This type of love between Ben and Julia is difficult in real Life though exists. For someone to propose to you with full knowledge of your health challenge bespeaks of true love and sincerity of purpose. Beautiful is at also that Both Ben and Julia are good Christians. This is awesome! trying so hard to hold back the tears!!! kia !!! men like Benett are very rare to find still trying to imagine how elated and uplifted julia must have been. this is what i call true love.... it knows no bound....thank you ma for this wonderful story line..
Wow, Benneth has done so well. And for him to accept the girl, regardless of the health issue is so nice of him. May we always find someone like Mr. Benneth. This love is true, it is genuine, it knows no bound, men like Ben are rare, accepting to take it upon himself of getting married to a sick person. It's all good. Wow this story is wonderful. And a good step taken by benneth. left for some people they would leave her after discovering she has cancer even if her chances of surviving is high. Cancer? Wow! The use of that is commonly dwelt on my modern writers. The plot where by a Guy falls in love with a terminally ill girl has become somewhat cliche. Nice, but cliche and more in the line of a modern day sappy romance. I disagree that this is a cliché, especially in these parts. Our people are calculating in love as you can see from the other responses. And I wonder what you consider a sappy romance. There's nothing sappy about drawing on your faith to stand by a loved one during a difficult time while most people will cut ties with the person when the going gets rough. Learn to be less cynical and dismissive. You're way too young for that kind of mindset. This is the time of your life to get inspired and believe in the best possible outcomes in life's trials. God bless you! Well, it'd be really nice if such a love really did exist in our time. This generation are not so concerned with those kind of love, ours is more artificial and unreal at most. Bennett is a very loving man. This kind of relationship should be promoted where God is placed at the center of everything. I believe that Bennett didn't just propose,it was God working through him and it is nice that he didn't fight that decision. This is really a love to count on. The name of the story is perfect, it rhymes; even tho this type of love is actually hard to find nowadays. This generation is concerned with what they will benefit from the relationship rather than actually being with the person for love. Love knows no bounds, men like Bennet are hard to come by this days. The love he has for Julia is genuine for him to take such decision of marrying her notwithstanding what she was going through at the time . Nice one Ma. This story presents a picturesque of what true love looks like. Love that accepts all forms of discomfort/disformity, imperfections. Love that clings on even when hinges seem broken. Love that nourishes. what a man Benneth is...what a love! only few persons would react same way Benneth has done... God bless all Benneth who have put smiles on the faces of all Julia what a story! this story brought tears to my eyes. Thank you Ma for this wonderful piece. Interesting. This story really depicts what true love is all about, looking past any barrier. True love never abandons no matter what or no matter the challenges life has to offer,it always stands such challenges and pain.This story paints what true love is,Benneth proposed to Julia at this time of her life when most men will abandon her.This story depicts the kind of love Christ has for us. Honestly this story Is truely telling us what true love is. For in sickness and in health .Nice one MA . Lovely!! I admire both partners. They did not act paranoid or get scared because they had trust in God. I admire their faith and the fact that they seek God together, always. Most importantly, I admire Ben because he stood by his partner even when she was facing a major challenge in her life. I hope she gets better. What a sudden marriage proposal!! This is true love indeed. True love stands firm in all situations, Benneth truly loves and understands what true love means. He always stands by her I hope their faith will see them through amen.. True love is sacrifice, Benneth didn’t hesitate to prove his love, Julia, even though he knows about her health issue, if you find true love. it will always be with you, even in your time of weakness, your love will stand stronger by your side. True love is a strong commitment. Interesting story ma. Awwwnnn!! This is so sweet!. True love is kind and caring. It never dies, never withers away no matter any challenge or circumstance. True love knows no bounds. Men like Ben are rare. His love for Julia was strong and genuine. He never let her feel the pains of her ill health alone. He stood for her and had faith in God that everything will be fine. This is great! Wow! This story is very interesting and touching. I love the fact that Julia did not allow her present condition to weigh her down. She had prayed and fasted to God believing for a change of story. She didn't even bother to ponder over what the result could be and Benneth is a nice and good guy. He loves Julia so much and he is willing to give her all the support she needs. This is what i call true love. When someone is willing to go through thick and thin with you, that person truely loves you. This story is very touching. It teaches us to approach life challenges with faith and optimism. God is always there for us. Well done ma. There is nothing as sweet as having a man who fears God.Dat kind of love z rare these days... I love how Benneth handled the situation, some men will run away in dis kind of situation... Dat z wat is called love... Am inspired... Keep it up ma. Love should be built on God as the center, trusting Him to guide and direct. They trusted God and had everything going well for them. A canal man would have dumped Julia.. .who wants to marry a sick wife? Nice one Ma. Nothing is permanent in life including our problems, we should learn to trust fully in God. True love is patience and unrelenting. This depicts the kind of Love God has for us. Despite our unfaithfulness He first loved us before we loved Him. God bless you ma! This is inspiring because despite her condition, Ben still loved her;he reminded her of her state in Christ. Wow.......... This is really true love I wonder if this kind of love really exist now. Love and prayer really solve all problem. I really like this one thank you ma for this piece. Bravo I didn't even know that was the end of the story I was so engrossed and wished for more. Ben is such a darling proposing at that point in time is actually the most sweetest thing to do, that singular action would take Julia through the hurdle of that sickness. I so wish to know the end of this story........ Buh am already concluding the story in my head. 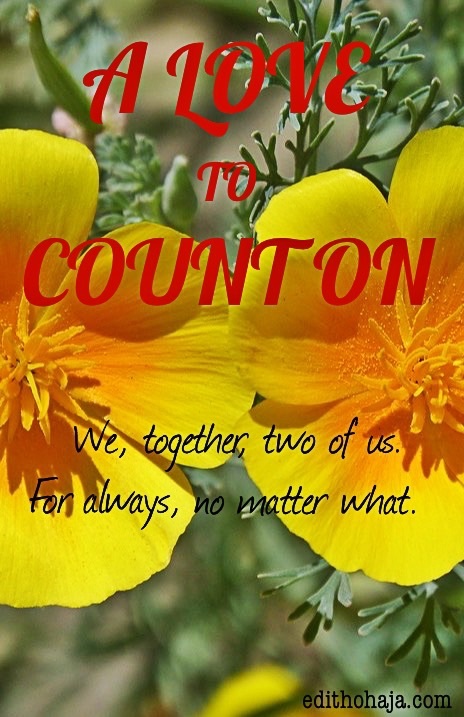 This story really portrays the title " A love to Count On" because it truly is. Love, strength,trust,togetherness and loyalty is really all that matters. Amazing. If we had more people like Benneth, the world will truly be a better place. love conquers all. Benneth's love for Julia wilł help her withstand the trial she's facing. Very interesting one, ma. Ben is indeed a God-fearing man unlike men of nowadays who will just end the relationship at the mention of that illness. Instead, he hoped on God and made her problem his own also. Love conquers all!!! True love is like a candle whose flames can never be extinguished. But the question there is, can you find this kind of love in our generation today?. What Benneth did was so touching and is not that common with lovers of nowadays. Love is indeed very sweet and beautiful, that is if you fine the true one just like Julia. As for Julia, she should count herself lucky and blessed to have found such kind of love. It's so interesting. Benneth is a true lover that every woman dreams of having as a life partner. Circumstances makes people to change their hearts decisions, but Benneth is too courageous, that is why he didn't allow circumstances to affect his decision towards the young belle Julia. He actually proved his love. Such a man is indeed a someone to count on because of his fidelity qualities. What a way to propose, Benneth has proved himself eligible enough to be counted on such a man isn't ready to sacrifice his love for any illness acute or chronic. I will, but say that God's revelation and intervention was also a contributing factor to Benneth's decision. Love is a beautiful thing especially when lovers believe in "Always And Forever”. Julia and Ben are a perfect example of an ideal couple. If all guys were like Benneth, we ladies would never be scared to love and be sincere in life. ..His action shows that he is a true man. Oh! This is the kind of love we need in this world. Love that can stand obstacles. Love that will always be there. Love that will stay in time of need. Love that gives hope. Love that is synonymous to the love of Christ. Love that will stay forever. I love this ma! True love never dies, no matter the circumstances. Being with someone that loves you, is the best gift you can ever get. Great story!!! this is really an interesting story. True love always stand firm no matter the condition. if you have the right partner in any relationship, you guys will go a long way in maintaining it. So love this story ma. Love is really beautiful. This story displays the true meaning of love and faith. Julia had faith that God will take care of her situation. She did not bother herself thinking of what to do when she knew that God was by her side. Benneth on the other hand was supportive, he surprised me by his actions I never thought that he would have done what he did but that teaches us a lesson that we should not forsake people because of their present situation instead show them love, show them that you care because you wouldn't know where yours will fall in tomorrow and who might be of help to you. What courage he has. people that stand by you in times of difficulty are those that truly love and have faith in us. Benneth has shown he has unconditional love for her by not caring about her health condition or even having it in mind that along the way she might even die. may God give us the strength to stand by our loved ones always. Aaawww.. I really wish the story didn't have to end there. It is when challenges come that you really know how much love you have inside of you, It is amidst challenges you find out those who really love you and how much they do. This is true love, and it is worth emulating. I'm touched ma. awn! benneth isa good example of a perfect man that every lady would wish to have. i pray when it's time i find someone like him in jesus name.he is God fearing, caring and down to earth. Wow! This is so sweet. I found my myself fantasizing on meeting the dream man too. Julia is really lucky and blessed with a man like Ben. His kind is so rare and this goes to show that love goes beyond whatever obstacles. He proved his undying love through the proposal and that alone warmed my heart. I hope I find my Ben soon. uhhn...uh so touching! they are really in love coupled with faith. they will move mountains together. i just love their attitude towards the cancer issue. The way Benneth acted shows that he truely loves and cares for Julia. He didn't discriminate or leave her to pass through her battles alone. I also liked the fact that he is prayerful and he decided to leave everything in the hands o f God. I believe he made the right decision asking Julia to marry him, because I believe that together they can face the problem head on. His love is commendable but the question is, how many would do that today? True love endures all Benneth proposal show that he truly loves Julia despite the fact of her present situation. "I WILL NEVER LEAVE YOU NOR FORSAKE YOU!"